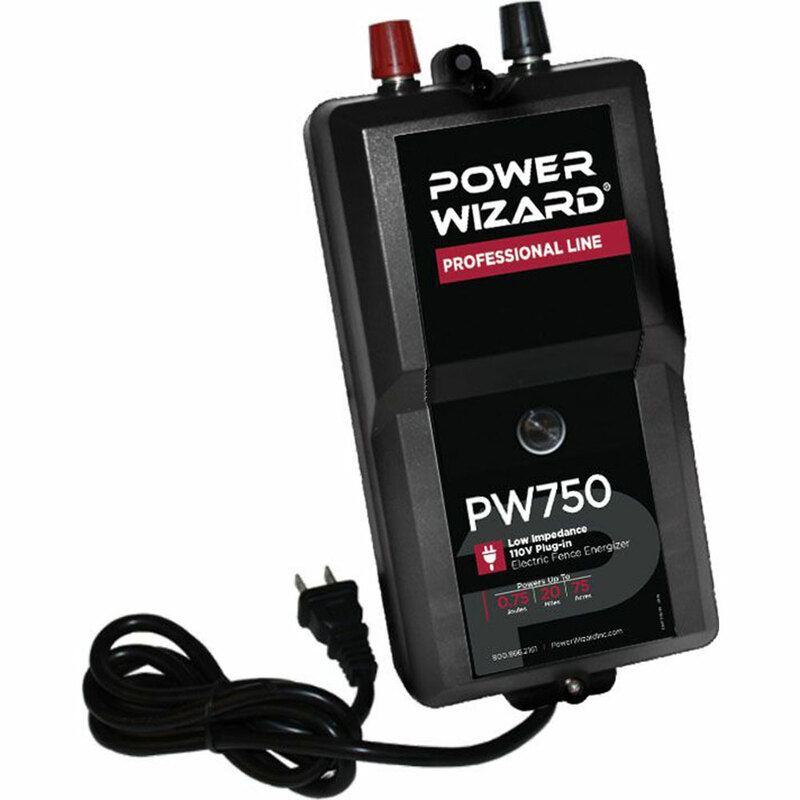 This low impedance power fence charger has an output of 0.75 joule. It controls up to 75 acres or 20 standard miles of wire. Select a plug-in model based on acreage, animal type and miles of wire.